As you will quickly realize, I am not a fan of the rules governing claiming date within Social Security. The Internet is a dangerous place — particularly for seniors weighing when to start collecting Social Security. As you will quickly realize, I am not a fan of the rules governing claiming date within Social Security. They are overly complicated, and frankly expose seniors to seriously poor life choices, many of which conceive consequences lasting for decades. The fact that the rules haven’t been changed in more than 30 years suggests that law makers do not pay much attention to the rules or the consequences. According to the rules, seniors can claim benefits anytime from age 62 to age 70. In the intended case, the convention provides a beneficiary with the flexibility to tailor the payments to their individual needs. For example, people who have poor health should consider taking the money early. In reality, however, these decisions enable seniors the ability to make some very bad choices that last a lifetime. Moreover it really doesn’t matter whether the senior is choosing to claim early or late because there is a heavy dose of bad advice on the Internet for either decision. The decision of claiming date should be simple enough, but it isn’t particularly when advisors are trying to convince seniors that they can make money on Social Security claiming strategies. In its worst form, the “make-money” argument explains that seniors will “break-even” in 11.7 years if they defer their benefit for 4 years. This is a bad idea, built on flawed mathematics. Social Security isn’t simple, and can’t be expressed in 9thgrade math equations. The 11.7 years answer ignores the time value of money and the prospective impact of insolvency on benefit levels. When you hear the phrase “11.7 years” in a recommendation on claiming, it is time to leave. It is difficult to say which omission is more detrimental to seniors. The timing of the first check is very important particularly for those seniors who stop working before they start collecting benefits. The fact is that these seniors will need to find an alternative income source to pay the costs of living as they wait for their boosted checks. Is the gap in income a problem? Apparently so. 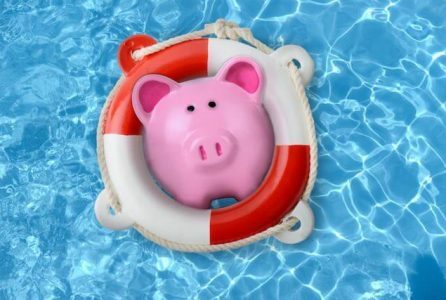 The Financial Consumer Protection Agency issued a warningto seniors about the dangers of using a reverse mortgage to finance the delay in Social Security payments. Worse is someone who uses credit cards to fill in the gaps between retiring and the arrival of the bonus check. It is a gross mistake to assume that seniors continue to work when they defer claiming, particularly if the goal is to make money. According to the Social Security Administration, “the early retirement reductions and deferred retirement claims are roughly actuarially fair for the average beneficiary over a lifetime.” Another way to look at this statement is: if you take out a loan to pay the bills while you wait, you can expect to use every penny of the bonus benefits paying off the loan. In terms of insolvency, let’s keep it brief. The Social Security Administration expects about half of the people turning 71 today will outlive full benefits based on current law. These people are already a year beyond the maximum deferred claiming date. I tend to think that the likelihood a revenue-only solution to the program’s finances is near zero. Others disagree. Retirees need to make their own decision, and take responsibility for it. Lost in the discussion about when to claim, is what is the role of Social Security? It is effectively insurance, which serves as a hedge against the cost of realized risk. In English, you have to be alive in order to collect checks from Social Security. Breathing costs money, likely more than you will get from Social Security when you look at all of your costs. Bottom line, you can’t make money on Social Security, any more than you can make money on auto insurance by having wrecks. You can only offset more unexpected costs, but you will not make money. Simply enough, the government has no business trying to annuitize pension benefits. There are an array of companies out there who have the ability, and competence to check-up on the rules at least once a decade. While I do not like these rules, the best article that I have seen for those considering when to claim benefits is from Chuck Saletta, Read This Before You Take Social Security.. The Social Security Administration’s analysis factors in the interest on early checks, and believes that the break-even is over the age of 80. The numbers that I have run with the possibility of insolvency push the break-even over the age of 90. Feel free to email me for the details. It is all very complicated. Deferring claiming is really no different than going to a private annuity company to buy an immediate inflation adjusted annuity with your missed checks. Michael Kitces argues that the main difference is that Social Security offers a better deal than private companies will. Mind you, he disagrees on my assessment of insolvency. The full article appeared on FedSmith.com. Brenton Smith writes on all aspects of Social Security reform, translating the numbers and jargon of the issue into more understandable terms. His work has appeared in Forbes, MarketWatch, Fox Business, The Hill, and a number of regional newspapers. To read more of his reports — Click Here. ← Why do we turn to food when we feel betrayed?